Yes, you guess it right; he is a great director of the much hyped and popular movie Baby of Akshay Kumar. 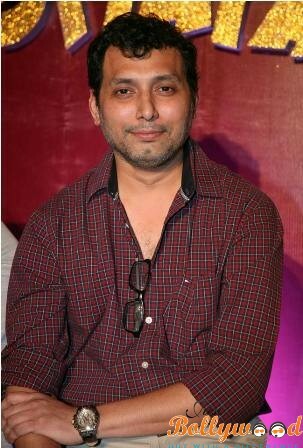 Neeraj Pandey is also known as a popular producer and screenwriter of B Town apart from being a known director of many good movies like A Wednesday and Special 26. He comes from a typical Brahmin family away from the film background from Kolkata. His father, however, has the origin from Bihar who came to Calcutta all way from Bosch to find work. He did his schooling from a local school in Kolkata and then headed to New Delhi to pursue his graduation in English. After his studies, he started working with a Delhi based company called Legacy Entertainment owned by Dalmia group, which worked in making TV program. This is the place wherein he learnt the basics of filmmaking. In the year 2000, he shifted to Mumbai, the city of dreams wherein he got the chance to produce a documentary for a friend. This helped him enter the world of making a number of documentaries followed by ad films. He soon embarked with his own production company called Quarter Inch Productions along with one of his colleagues called Shital Bhatia, who used to make TV programs, documentaries and ad films. The duo later formed another company called Friday Filmworks, which is the group that produced his debut movie A Wednesday. The movie was inspired by the 11th July 2006 Mumbai Train blasts as a number of incidents and info was used in the movie from this incident following the bomb blasts. He then did a Bengali feature movie called The Royal Bengal Tiger with the Bengali star Jeet. His next regional production was a venture called Saat Ucchakey wherein the actors like Manoj Bajpayee, K.K Menon, Aditi Sharma and Anu Kapoor were roped in to make the movie. He then made Total Siyapaa with Ali Zafar, while his next venture is Baby, which is just released. His upcoming project is a biopic on Indian Cricket Captain MS Dhoni called MS Dhoni: The Untold Story starring Shushant Singh Rajput. As far as awards are concerned, he has received a number of awards. These include the National Film Award for his debut movie A Wednesday. He also received other awards for this film including the Indira Gandhi Award for Best First Film of a Director. This movie also helped him earn awards from Star Screen Award in 2009 for Best Film and Best Story categories, while IIFA awards for Best Story and Best Dialogue. He was also nominated in Filmfare awards for the same, but couldn’t get the award from there. His next movie Speical 26 too was very much appreciated, however, it didn’t see any nomination or award for the same. Apart from making movies, he has also written his debut novel called Ghalib Danger, which was launched way back in December 2013.